You are currently browsing the monthly archive for February 2005. 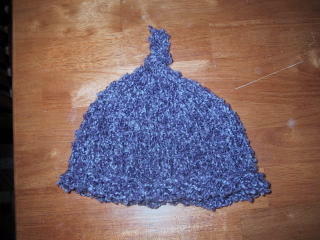 Made another hat, for a friend’s baby. Turned out kind of meh — I was dying to try knitting with Lion Polarspun, because it’s so soft and yummy, but in the end I didn’t like it too much. 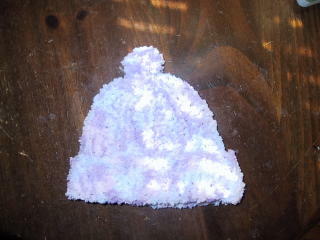 Made a hat to match the poncho, which is (of course) too small.